Todd Linke is a Vice President and the Department Manager of Finley’s Bismarck, North Dakota office. A Finley employee for more than 20 years, he manages all aspects of the company’s operations in North Dakota, South Dakota, Montana and Wyoming.Linke started his career with Finley as an engineer doing CAD mapping, writing software programs, and testing digital switches and fiber optic transmission systems. 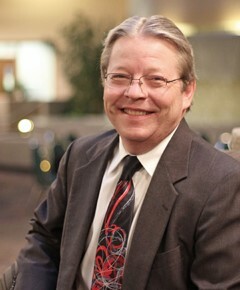 In 2002, he took over as department manager for the Bismarck office.Through the years, Linke has worked with numerous clients including Valley Telecommunications Association, BEK Communications Cooperative, Range Telephone Cooperative and Dubois Telephone Exchange, Inc. Of note, Linke has worked on Fiber in the Loop systems for rural areas since the early 1990s and currently specializes in Fiber to the Premise solutions. Linke is a graduate of North Dakota State University with a bachelor’s degree in Electrical & Electronics Engineering, with an emphasis in computer hardware and software engineering.